advice on diversified problems in the broad field of real estate." As the Principal Broker-Owner of HEYLE REALTORS & COUNSELING SERVICES, LLC, Kirk A. Heyle, CCIM, GRE has completed over twenty five years of Commercial Brokerage and Leasing in the Springfield, Missouri and Southwest Missouri marketplace. His experience is in Commercial, Industrial, and Investment Grade Real Estate and he was the first Broker in Springfield, Missouri area to be awarded the CCIM designation (Certified Commercial Investment Member) in 1979, and the first CRE designation (Counselor of Real Estate) in 1990 of the Counselors of Real Estate, an affiliate of the National Association of Realtors. 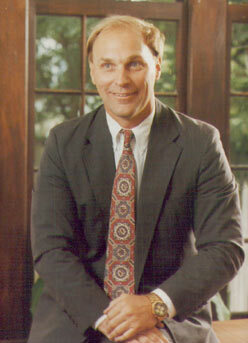 Kirk A. Heyle, CCIM, CRE is a past Vice Chairman of the Springfield Park Board, past Chairman of the Springfield Traffic Advisory Board, past President of the Greater Springfield Board of Realtors, and the 1993 "Realtor of the Year." Who are Counselors of Real Estate? CREs are the industry's most respected source for professional advice on all types of properties including commercial and industrial real estate and multifamily housing. The CRE designation is awarded to the Counselor by his peers, members of The Counselors of Real Estate. It recognizes the individuals demonstrated judgment, integrity and experience in real estate matters and client service. CREs must adhere to a strict Code of Ethics and Standards of Professional Practice. CREs come from virtually every discipline serving the real estate industry including real estate, accounting, securities and consulting firms, financial institutions and corporations, government, civic activity or academic life. CREs are compensated by a pre-agreed fee or salary for services rather than by commission or contingent fees. What Services do Counselors of Real Estate Provide? When providing non contingent-fee based, impartial advice on issues such as asset management, debt restructure, renovation or redevelopment, CREs focus on the relevant issues and propose the most favorable course of action. By identifying and quantifying the changes occurring in the industry, sound judgments and expert advice can be rendered to the client. Regular users of counseling services include accountants, architects, developers, lawyers, financial institutions, public and private investors, insurance companies and governmental agencies. Why hire a Counselor of Real Estate? Through The Counselors of Real Estate educational programs, professional publications and strong personal networking, a CRE stays on the cutting edge of new developments, both locally and nationally. Clients can benefit from the CRE's ability to tap into The Counselors of Real Estate extensive network of members. When necessary, CREs can assemble a multi disciplined team of experts to resolve a client's specific need or problem. Whatever the assignment, a CRE is able to bring to the client benefits of proven knowledge and experience in confronting complex real estate issues while adhering to a strict code of ethics. Assist Clients in establishing investment goals. Compares real estate with other after tax investments. Evaluates market and financial feasibility. Acts as a liaison with a Client's Accountant and Attorney regarding real estate matters. Structures tax-deffered exchange real estate.